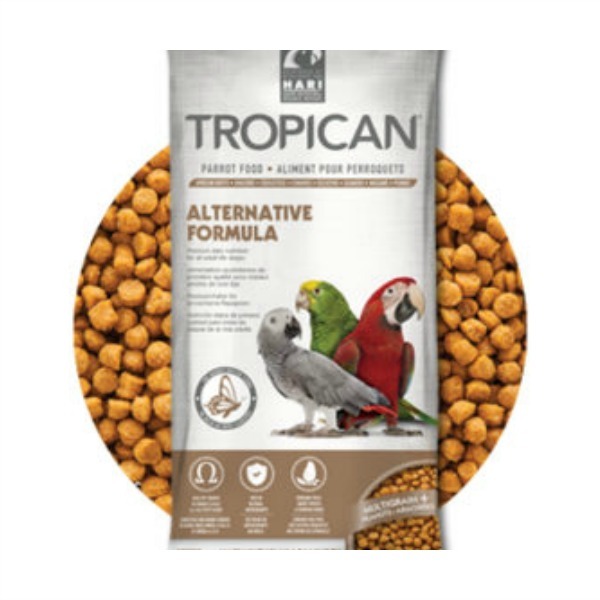 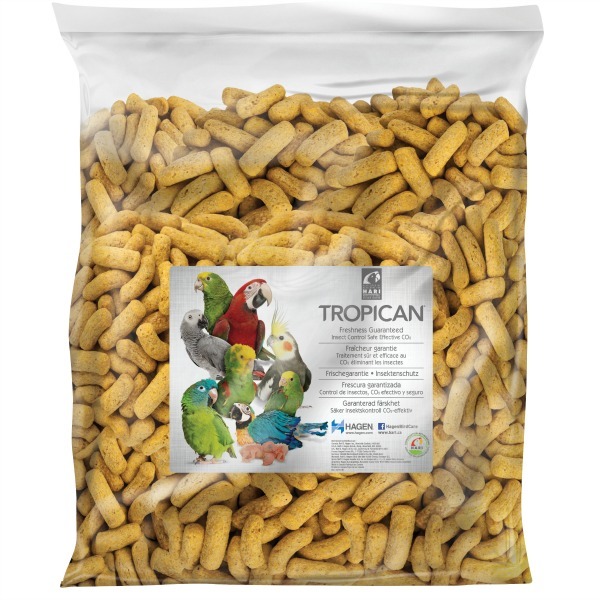 3 Hagen Brands of bird food at Windy City Parrot Hagen bird food Can offer complete nutrition for any caged bird. 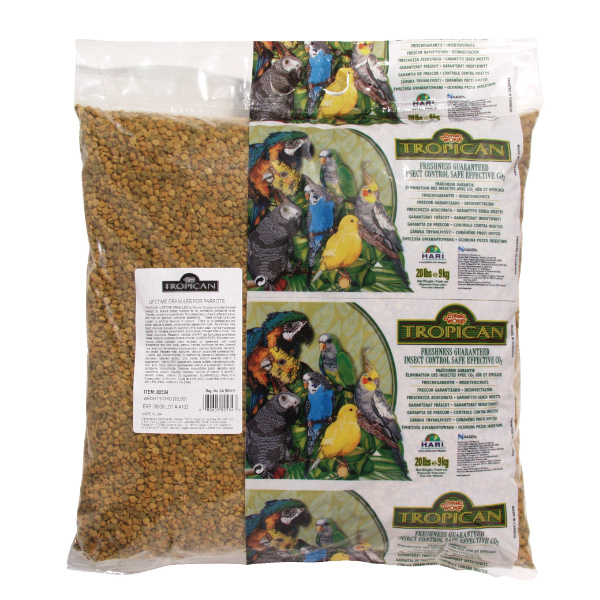 Make sure your bird has enough Hagen bird food in its dish so it does not run out day or night. 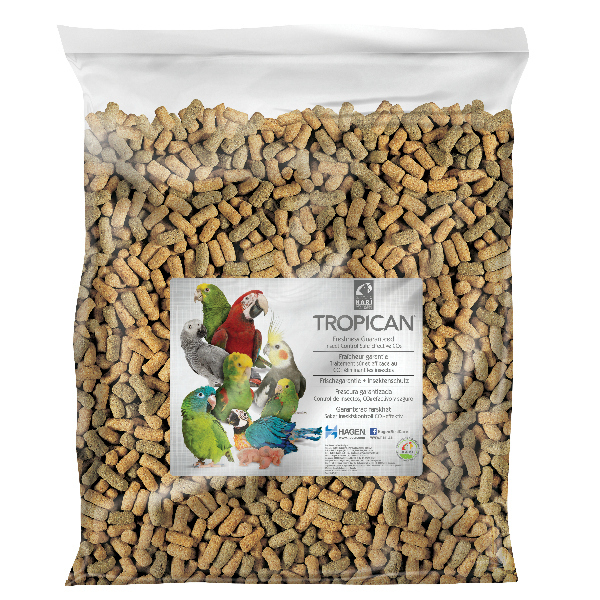 Providing freshwater throughout the day. 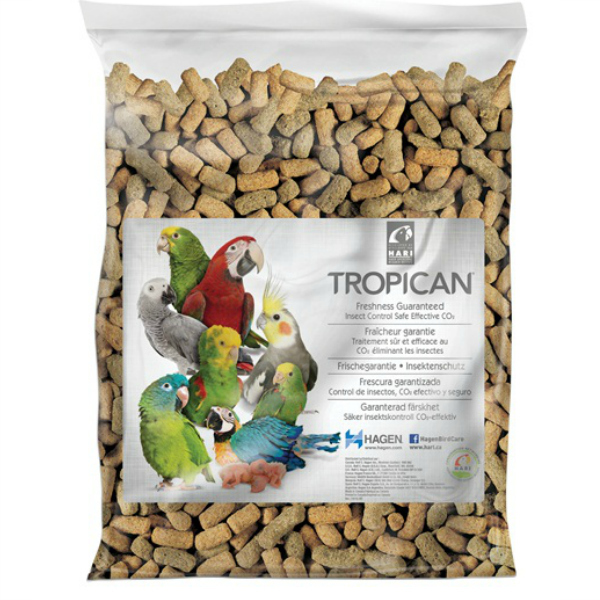 Hagen Bird Food includes Living World Bird Seed Mixtures, Tropican Pellet Bird Food and the unique hull-less bird food Tropimix nut, fruit and pellet bird foods. 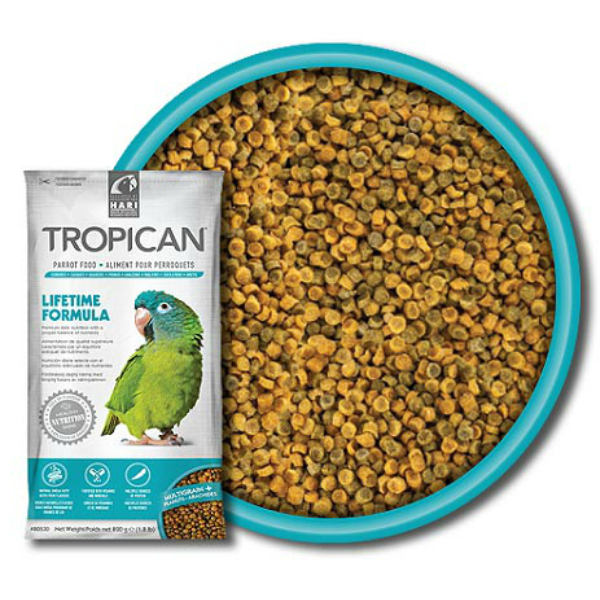 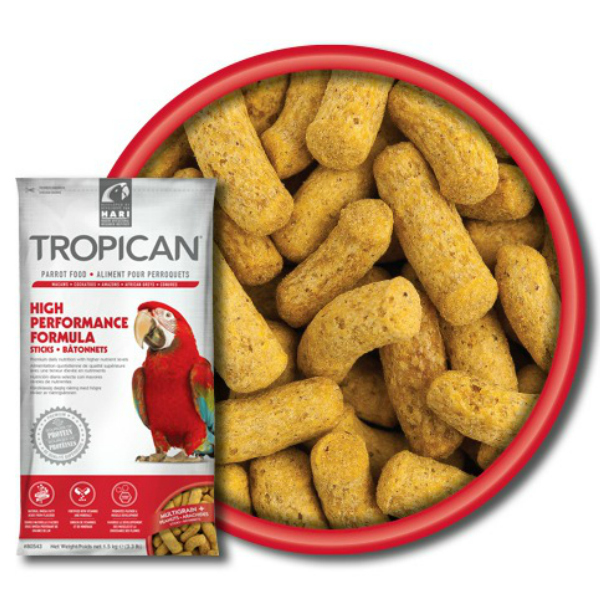 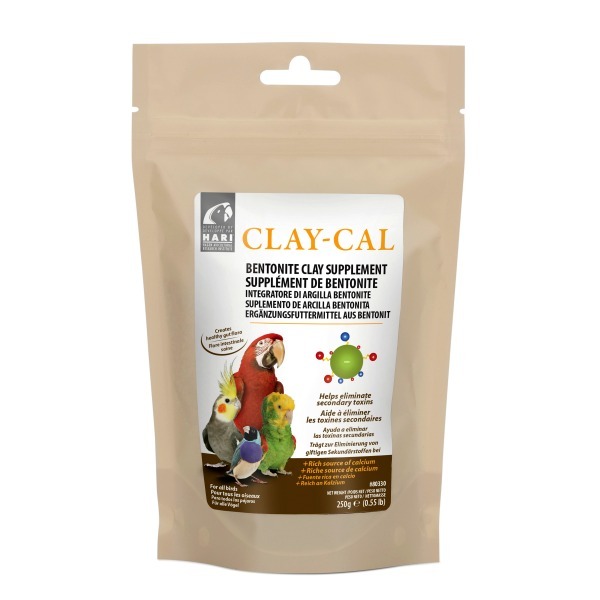 Captive birds require this variety of bird foods for optimal nutrition. 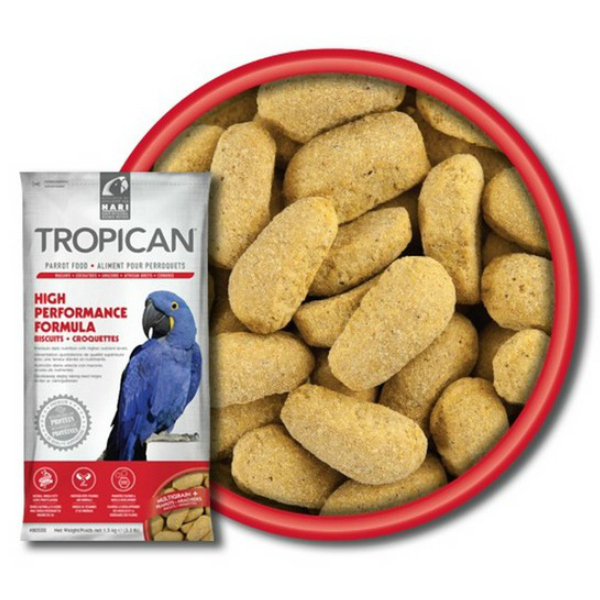 Hagen Bird Food should be part of a birds every day foraging and enrichment opportunities. 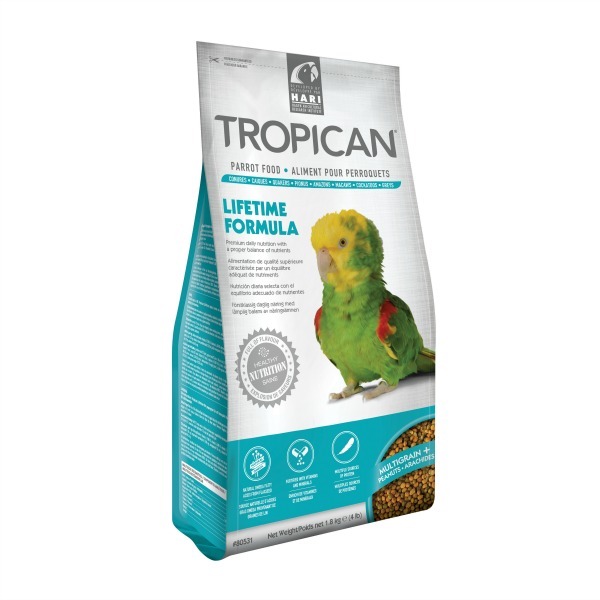 By making feeding time interesting your bird is more likely to eat a variety of bird food. 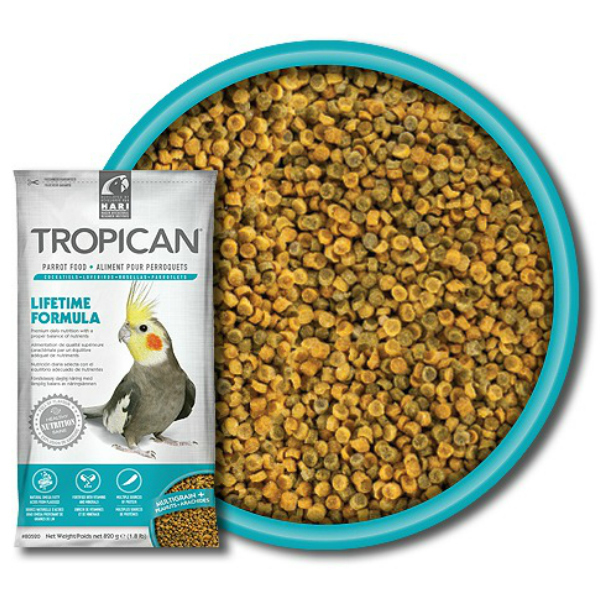 Small birds like budgies will eat seeds all day long but large birds like macaws and cockatoos will hold bird food in their zygodactyl foot to manipulate it while eating.